The title ‘Aeroporiki Istoria’ means Aviation History. 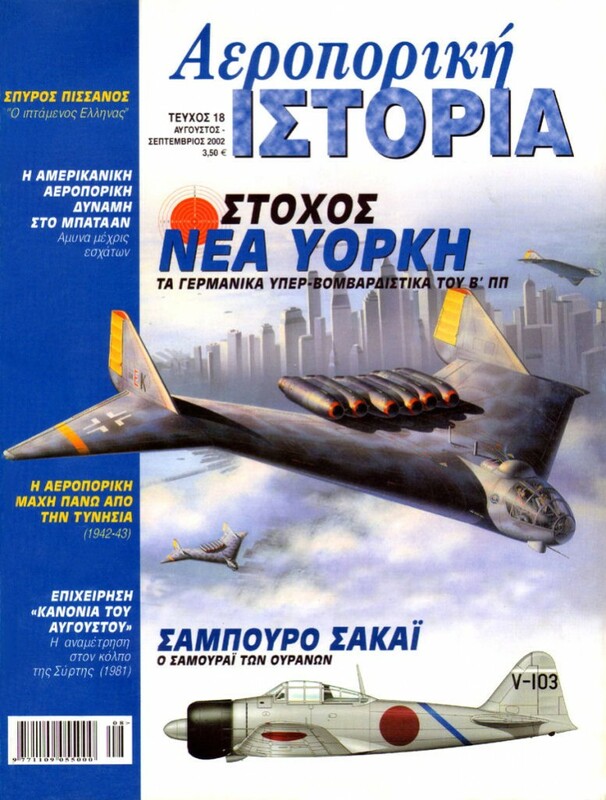 First released in 1999 on a bimonthly basis, the magazine exclusively covered the history of military aviation in Greece and around the world. The magazine described itself as having understandable, authoritative and comprehensive text, framed by rich and rare photographs and colour illustrations. Subjects covered included historic aircraft, Aces of the Air Force, gripping dogfights, landmark events in the development of aviation, weapon systems and rare aviation archeology. Publication ceased in 2008 with issue 51 being the last available.